If you know where to look, you can travel to the future today. In the past, companies hid what they were working on in labs behind locked doors. But newer technologies such as self-driving cars and drone deliveries must be tested and perfected in the real world before being introduced into our lives. Cities around the world are playing host to some of the smartest innovation around, providing a glance at what could become a part of modern-day culture in the years to come. Pittsburgh's varied terrain and four seasons make it a smart testing ground for self-driving vehicles. 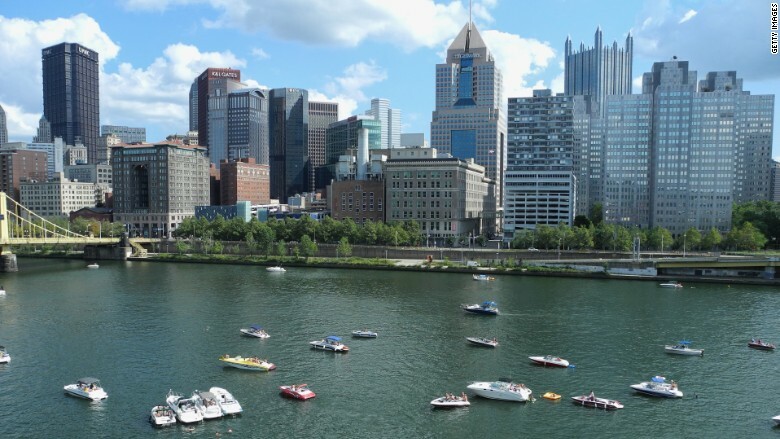 The city, known for its three rivers, has hundreds of bridges, which can be especially challenging for autonomous vehicles. Uber already offers self-driving rides to customers across the city. Pittsburgh is home to Carnegie Mellon University, where its pioneering work on autonomous vehicles has occurred for decades. It's also a long-term leader in engineering and robotics. Red Whittaker, a professor at the university's Robotics Institute, is often called the godfather of autonomous vehicles. His earliest projects include building autonomous robots to clean up the 1979 nuclear accident at Three Mile Island.